For me, 2010 was a pretty big year. I finished up my last semester of college, got my full G license and got a full-time job doing web design, what I went to school for. This year has really allowed me to start taking those important steps towards the rest of my life. I have always allowed others to take advantage of me and walk all over me, but this year I finally stood up for myself and told a few people how they had made me feel. Didn’t always end the way I wanted- it ended up completely ending a few good friendships that had been suffering for a while -but at least now I will not be used the way I had been and hurt because they didn’t care about me like I cared about them. And even though some things have started to change for me, there are still many things that haven’t happened for me yet that I wish have. I still am at home most nights with my family, the few good friends I do have are away at school so I rarely get to see them and others are just never around to do anything, although some of us make plans they never end up happening. On the same note, I really would like to meet new people / make more friends but that’s hard to do- it’s no fun going out on your own and even if I did I’m way too shy to just randomly start talking to strangers. I still haven’t met a guy, and this is something that really bugs me because how am I going to meet anyone? I’m either at work or at home, I don’t work with anyone my age and my friends are not around to go out with to meet anyone and are not around to introduce me to anyone they know either so how am I ever going to find someone? 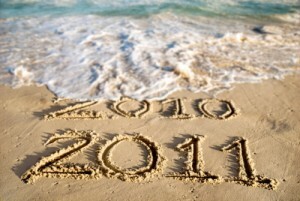 Though there was good and bad of 2010 I believe it was a very important year for me and believe that 2011 will be too. My hopes for 2011: break out of my shell and meet some new people, become more confident and maybe get a place of my own by the end of the year depending on my financial situation lol. Happy New Year Everyone. Wishing everyone a wonderful 2011!